BOISE, Idaho — Healthcare and insurance is always a convoluted, confusing and expensive maze to navigate, regardless if you're insured or not. Even with insurance, many Idahoans have sky-high premiums and deductibles yet continue to pay so much out of pocket. Due to how expensive healthcare costs are, people are turning to a little-known payment method that could save patients hundreds of dollars if they know their options. 7Investigates dug into how people are paying bills with cash versus using insurance. We discovered some health care providers' cash or self-pay discounts are cheaper than what you'd pay using your insurance. People with high deductibles are finding it's better to pay their bills with cash or card than let billing departments send it to their insurance. Insurance does have a hugely important role in case anything catastrophic happens, so this is not an encouragement to stop having insurance. 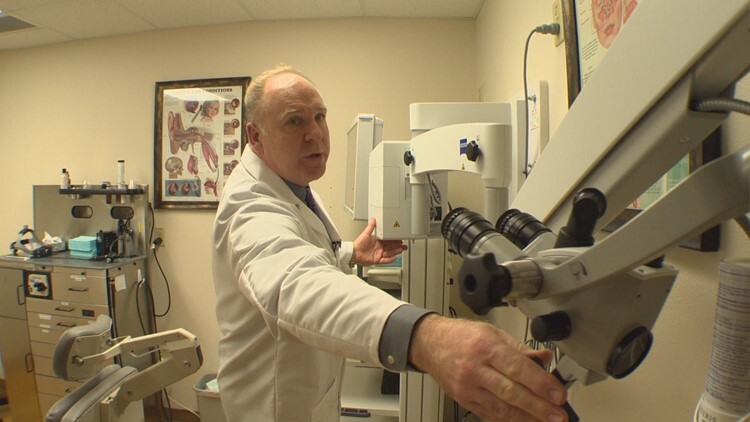 But KTVB does want you to be aware of your options and know if you ask a couple extra questions, it could save you hundreds on medical costs. The Hursts were able to save hundreds of dollars by asking about the self-pay option and completing the necessary documents. When their daughter's doctor said she needed X-rays for her back, Crystal Hurst didn't think twice. “I automatically was like, done, it's my kid, there's no question. I was just going to get in the car and go,” Crystal said. She called her husband Tyler to let him know she was going to drop by St. Luke's. Tyler says he just typed “Boise cheap X-rays” into the Google search engine, and imaging centers populated. He gave his daughter’s doctor a call, who Tyler says told him they could go ahead and get the X-rays done elsewhere and the images would be accepted. The Hursts settled on Imaging Center of Idaho, where they found online that costs were much cheaper than at the hospital. Not only was it a bargain, but the Imaging Center of Idaho offered an incentive for their daughter’s four different images. Crystal says they told her if she paid cash right here, right now, and didn’t go through insurance, she’ll pay even less. “If you paid in full today, like no payments or anything, it's $55. But if they billed it through insurance it's $228. It's messed up,” Crystal said. The Hursts' deductible is incredibly and because their plan doesn't cover X-rays at all before hitting it, self-paying $55 up front made more sense for them. “Where’s the disconnect? What's going on that there is such a big price gap in what we're paying as consumers if we pay versus what insurance companies are paying?” Crystal said. The cash payment option allowed the Hursts to avoid using their insurance and save hundreds, but the healthcare system doesn't easily detail why there is such a large discrepancy in payment amounts through this option. “I just don’t understand why it would be so much more going through insurance versus just paying cash. It’s the same procedure either way,” Tyler added. 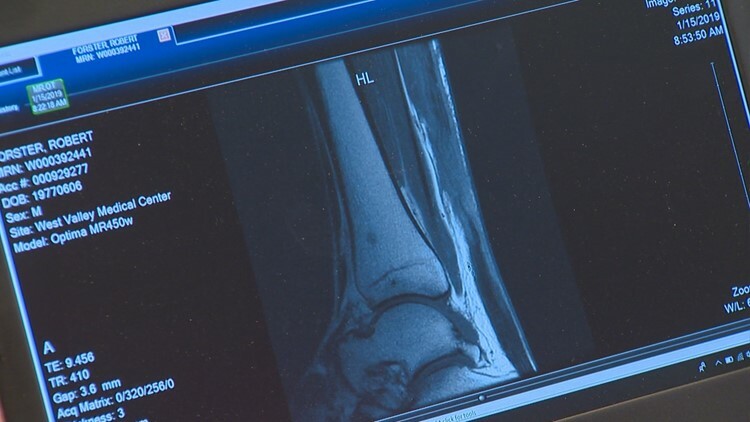 Rob Forster also discovered he had options and encountered a similar situation..
A doctor told him he might have torn his Achilles skiing at Tamarack with his kids, but made sure he did his research before getting an MRI done. “Eventually I settled on a provider. Interestingly enough they give an 89-percent discount if I don't have insurance, brings the cost of the MRI down substantially,” Forster said. With the discount, he said it was going to total out to about $340. “That's an incentive for me to not have insurance,” Forster added. Robert Forster was able to save hundreds on his MRI bills by using cash payment methods. Forster says West Valley Medical Center was going to bill his insurance much more than that, around $1,300. He researched and found under his insurance policy, his out-of-pocket for the service was far more than paying cash upfront. “It was also far more expensive than a competing provider that lists their cash price on their web site,” he added. “So I got the cash discount only because they didn't know about my insurance,” Forster said. The MRI showed he needed surgery. At that point he fessed up he had coverage, knowing with the high cost of surgery, he'd hit his deductible and out-of-pocket max. “Insurance for me is really only valuable for what happened here, for something major,” Forster added. Not using his insurance allowed Forster to avoid higher costs, but he was able to navigate the system and determine when it made financial sense to bill his insurance. What are cash discounts, self-pay discounts, and uninsured discounts? A doctor at Saltzer Medical Group sets up medical equipment in a patient room. In some cases, cash discounts and self-pay discounts can be less of a hit to your wallet than negotiated private insurance rates before meeting your deductible. This really just applies to common outpatient procedures, tests, and images. A number of health care providers and systems will offer discounts for patients for major surgeries and hospitalizations, but it could be around the same price – or more – than what you’d pay out-of-pocket with insurance. Of course, it all depends on your specific private health insurance policy. The caveat here: typically you can only get the cash or self-pay price if you don't loop in your insurance. Many providers only offer it if you're uninsured or, like Forster, don't disclose you have insurance – which is legal. But remember, cash payments that aren't submitted to insurance will not be applied toward your deductible, rendering you vulnerable should anything catastrophic or major happen. Intermountain Medical Imaging is an alternative option for imaging services. Rachel Bergmann, Director of Marketing & Professional Relations, says their cash discounts are generally 30-percent off their billable rates. Bergmann says additional factors considered when determining cash pricing include contracted rates with participating insurance providers, as well as Medicare rates. When asked whether that was generally more, less or the same as their negotiated insurance rates, she said, “Based on the wide variety of exams and insurance contracts that we participate with, it would be near impossible to answer that question accurately." West Valley says their "uninsured" discount ranges between 45 to 89 percent and does apply to most hospital services. Wendy McClain, Director of Marketing/PR, says it is determined on an individual case-by-case basis "where multiple variables are considered". They say when patients are insured they are obligated to bill their insurance company in accordance with the member agreement each patient signs when they select a health plan. 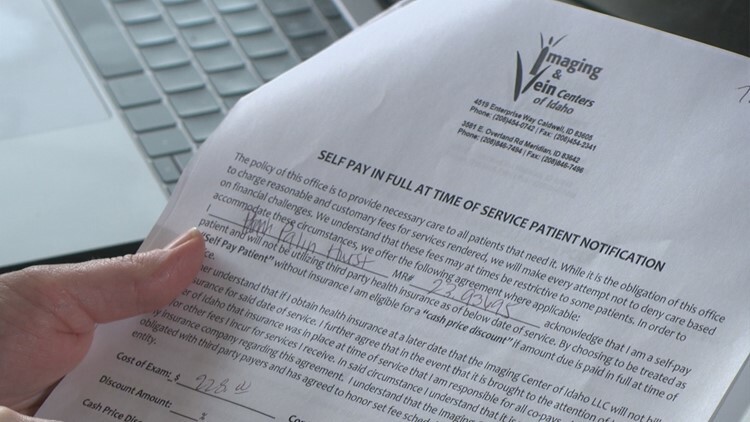 West Valley also offers a 10-percent "prompt pay" discount for insured patients who pay their portion of the estimated bill in full on the day hospital services are provided. At St. Luke's Health System, discounts for uninsured patients are 30 percent on all services. They say that's generally right around what you'd pay going through insurance. They say they don't want to create an "odd incentive" where cash discounts are significantly less than negotiated insurance rates because it sends the message that you shouldn't have insurance. Saint Alphonsus says that's also the case there; similar to St. Luke’s, depending on their contracts with payors, you could pay less or more than their "uninsured discount". Patient Financial Services Regional Manager Laurea Howell tells 7Investigates that as a non-profit they are required by law to never charge a patient full cost of they don't have insurance. Their 30-percent self-pay/uninsured discount is on services across the board and is taken at the point of billing. They do not do a "prompt pay" upfront discount. At Saltzer Medical Group, they say cash discounts are 25-percent across the board – comparable but sometimes less or sometimes more than their negotiated insurance prices. Their cash discount applies to every service and is given when the payment is made at the time of service. Dr. Affleck says Saltzer does allow insured patients to get the cash discount. “There's no reason that we wouldn't because if it's good for the patient and it's good for us,” Affleck added. To get a discount like Forster and the Hursts, you must ask what healthcare providers' and health care systems' cash, self-pay or uninsured discounts are. “The patient would need to ask for it though and, you know, most cash payers are going to do exactly that: they're going to tell us ‘I want to pay cash’ and then it opens a whole variety of options to us for them specifically. But you’ve got to do the asking,” Dr. Affleck said. “If I'm not going to hit the high deductible and get some benefit as a result of hitting my deductible then I really want to shop around and make sure I contain my costs,” Forster told 7Investigates. It's up to patients to ask healthcare providers’ billing departments or hospitals' financial consultants about their discounted price, especially if you have a high deductible. “If there is a cash option that’s cheaper and you know you’re never going to hit your deductible, I think that it’s something that we all need to be made aware of. Yeah, you have other options,” Crystal Hurst said. The tangible frustration among patients we spoke with is this: they feel we, as Americans, do not know the true cost of health care anymore. “Anywhere you go in the world to buy something you know the price before you pay for it, except for health care,” Hurst added. Shopping around to compare prices and researching beforehand are your best bets. Be persistent and ask extra questions to find the estimated cash price, as well as the price estimate for the service if you were to use your health insurance. Providers may not be transparent because they have contracts with your insurer and that may be a contract violation. Whenever you can, ask your provider the code for your service. Look up whether your insurance-negotiated prices and cash rates are listed on a website like Clear Health Costs or Healthcare Bluebook. Check your insurance company's online cost estimator tool or call them, though it's not guaranteed you'll find the true cost because prices of services fluctuate. West Valley Medical Center has a Patient Pricing link on the bottom of their home page explaining their billing process and pricing estimates for uninsured and insured patients. They say both insured and uninsured patients can make monthly patments wihout interest of charge for up to 60 months. On their website in the ‘insured’ section, they ask insured patients to contact their Service Center at (800) 370-1983 in order to get the most accurate estimate. In the ‘uninsured’ section they provide a list of common inpatient and outpatient services and pricing with a price range. West Valley provides financial counselors to patients to evaluate their eligibility for various programs. Along with an uninsured discount, the medical center also provides a Charity Discount for those who truly cannot afford care. St. Luke's provides price estimates for patients, offering a price list with the average charge of common medical services and procedures. However, they are not a guarantee of final charges because actual charges always vary. Your true financial responsibility depends on your insurance plan, if you are covered. St. Luke’s offers financial assistance to people who are low-income, uninsured or underinsured and need help paying their bills. Different from the cash discount, there are several requirements for a patient to be eligible for financial assistance, including completing a Financial Care Application and submitting required documentation and have an income at or below 400-percent of the Federal Poverty Limit. Financial advocates can also help patients identify what resources are available to them, which can help patients prepare financially before their treatment. Like West Valley, they can help you understand your coverage and determine if you qualify for programs. To talk to a financial advocate, call Boise at (208) 381-1425 or Meridian at (208) 706-2147. You can also get a price estimate through Saint Alphonsus to better understand your out-of-pocket costs. You can call (208) 367-COST, go to their Online Price Estimator (similar to the other two formerly mentioned), or e-mail. The onlinetool only reviews the specific service or procedure and provides an average estimate of the charge, without assessing your insurance or out-of-pocket expenses. Saint Alphonsus offers a Financial Assistance Program as a resource for people who need assistance covering the cost of care. If you don't have insurance or have limited insurance, Patient Financial Services can help by establishing a low interest loan, help determine if you qualify for a public assistance program, or determine if you qualify for a full or partial discount off your hospital bill. To determine whether you qualify for financial support, you'll be asked to complete an application and provide supporting documentation.